1. 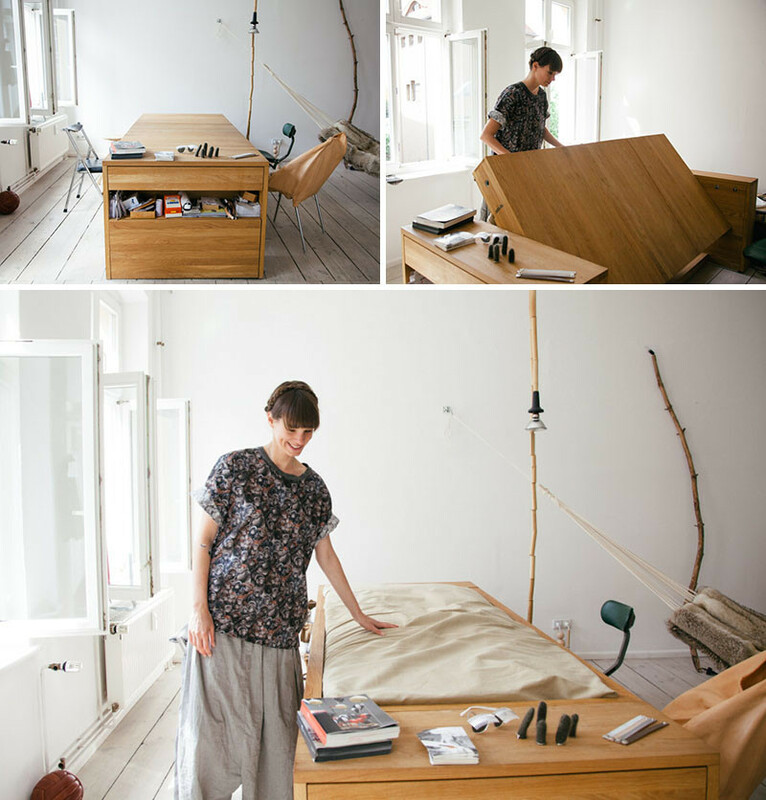 This bed becomes a desk when folded up into the cabinet. 2. 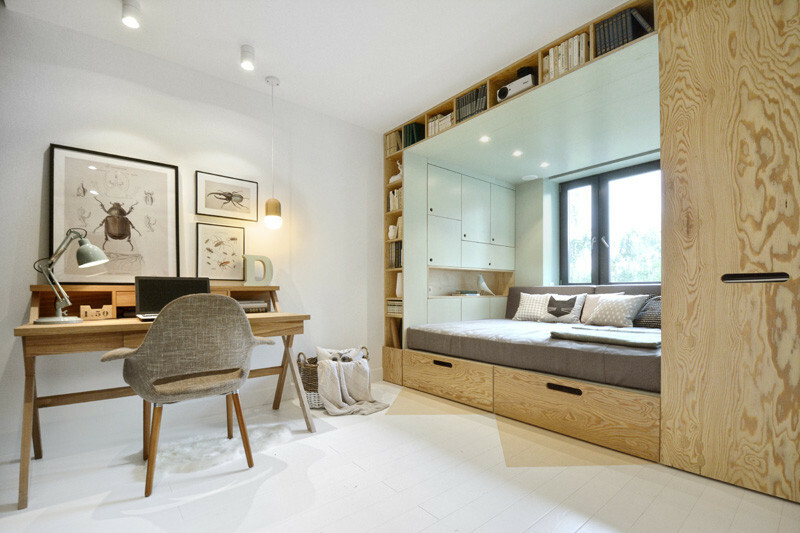 This custom designed built-in bed maximizes the space in a small room by including plenty of storage. 3. 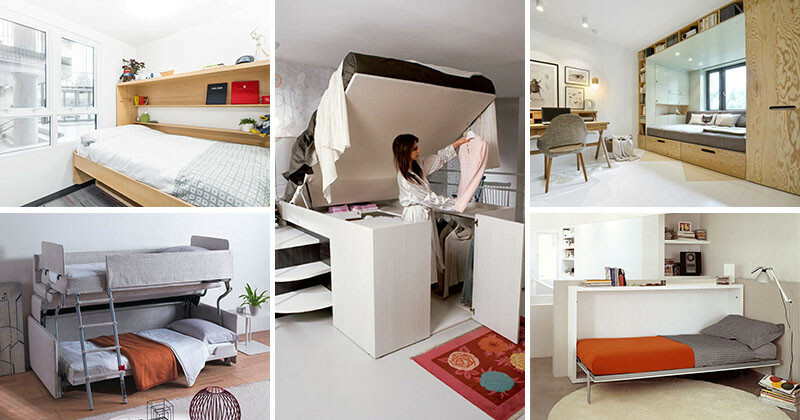 This elevated bed is designed with a closet beneath the bed. 4. This bed was specially designed for a new university student housing apartment. It folds up and turns into a desk during the day. 5. 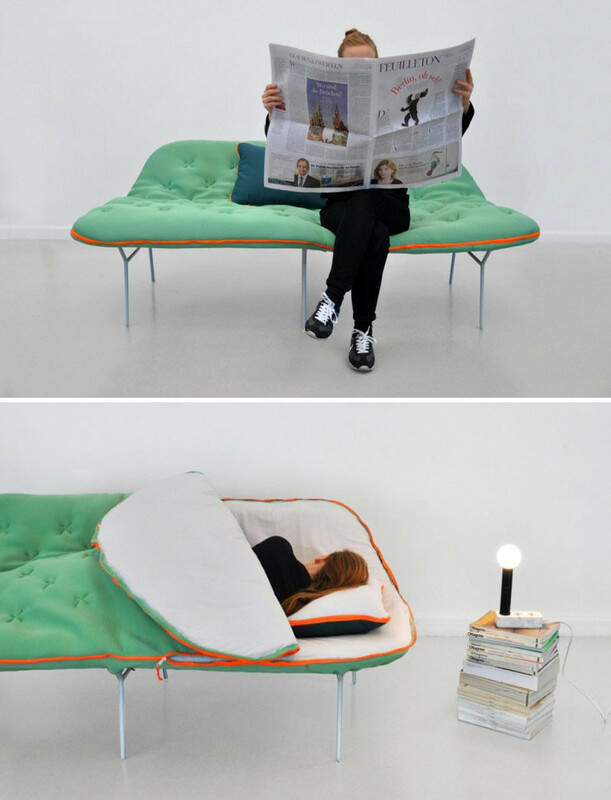 This Camp Daybed is a couch with a sleeping bag for a cushion, making it the perfect couch when you have a studio apartment. 6. A loft bed is always a great way to use small spaces efficiently. 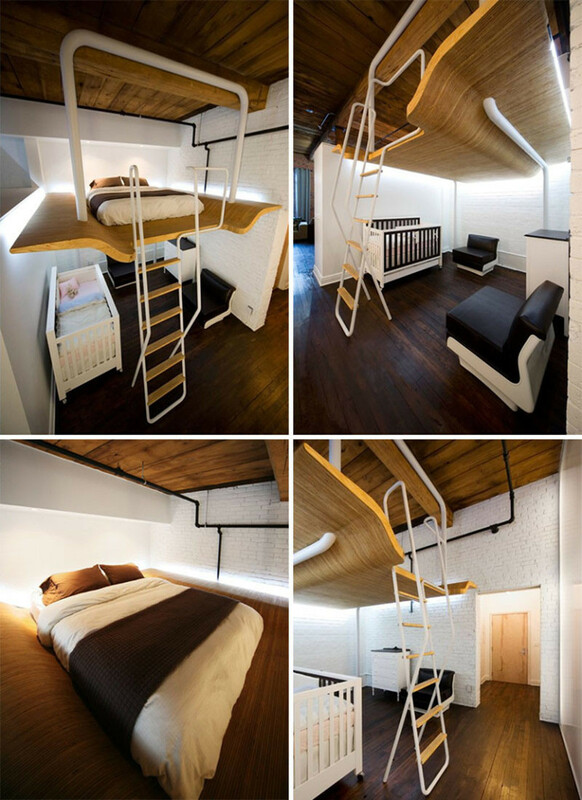 This loft bed was designed for a couple to have space for their newborn baby to sleep below them. 7. Another example of a bed that flips up and out of the way. This one has a table attached that can swing out when needed. Poppi “modern murphy bed” by Clei. 8. 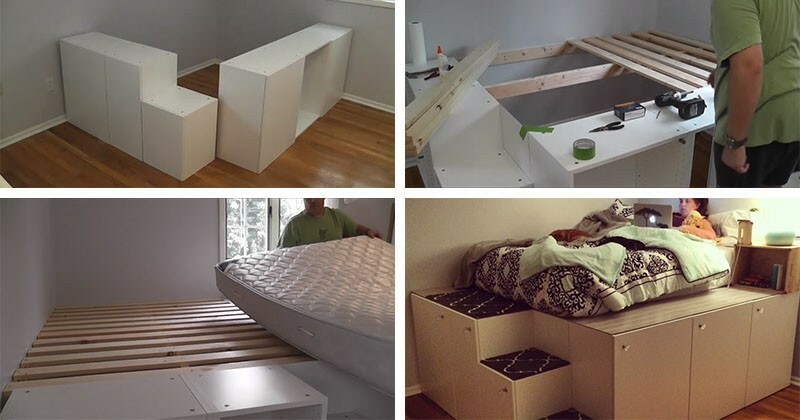 You can create a platform bed with storage underneath by using Ikea cabinets. Designed by Chris Heider – see the DIY instructions, here. 9. 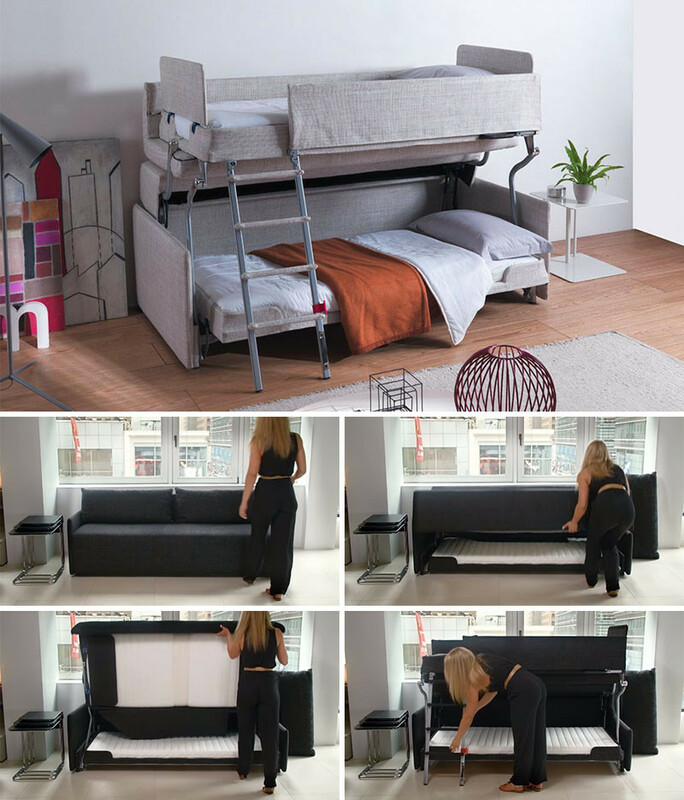 This couch transforms to become bunk beds! Designed by Clei. Watch a video from Resource Furniture of it in action, here. 10. 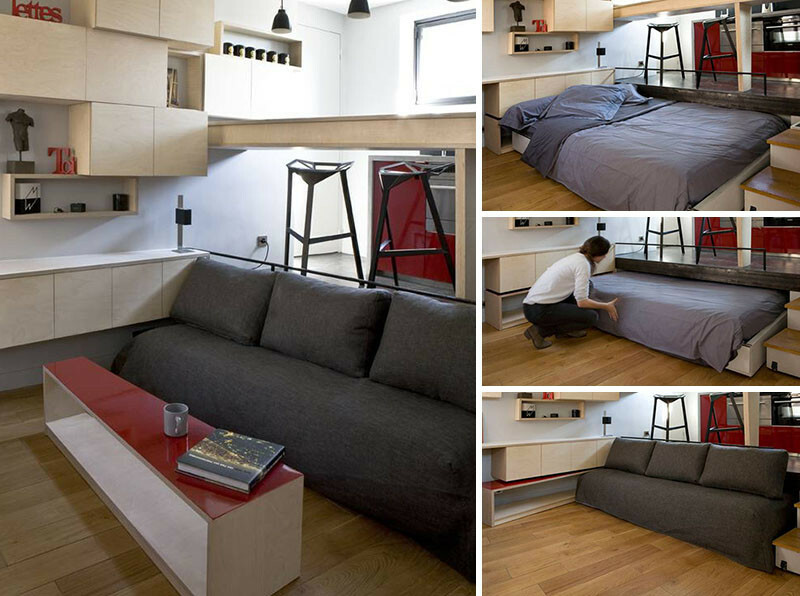 This couch slides out from under the raised platform to become a pullout bed. 11. This dining table/desk combo can be flipped to become a comfy place to sleep. 12. This bed can lower down from the ceiling or be raised up when not in use. 13. 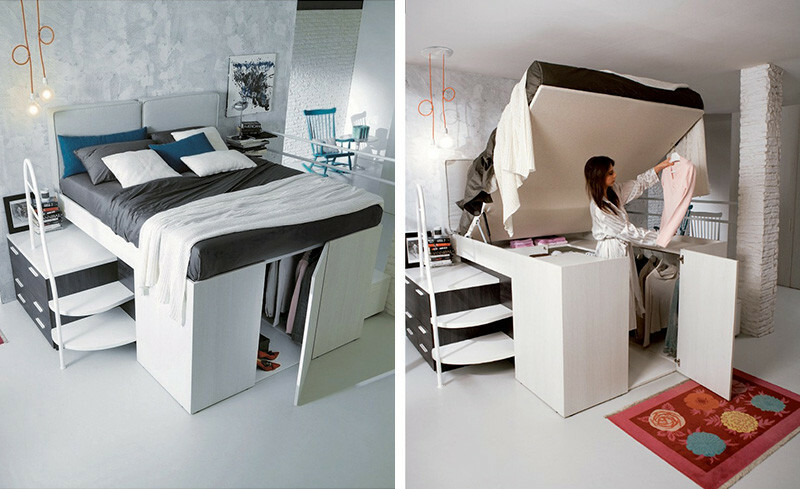 These bunk beds and storage have been designed to perfectly fit the room, making the most of this small space.